Growing families are the best. Watching this sweet boy become a big brother and capturing his sense of curiosity and wonder made for some amazing photos in this Newborn Lifestyle Session. 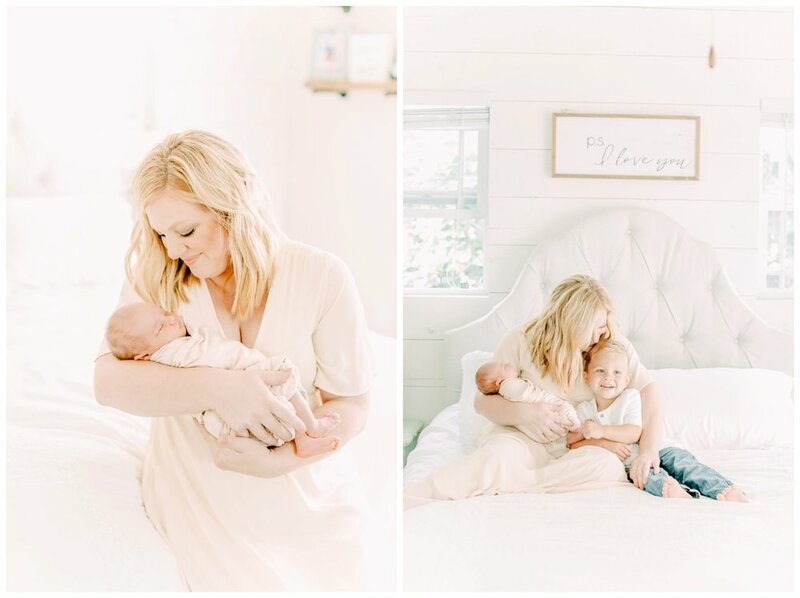 This family of three , now four, welcomed their sweet baby girl, who photographed beautifully in all those natural tones that their Orange County Home had to offer. This big brother and his beautiful green eyes just lit up at the sight of his sister. Photographing siblings is always so special, it's always great when I can capture their new growing bond. This is what dream in-home Family Sessions are made of.